From Barcelona to Santa Monica, cities alarmed by the proliferation of short-term rental homes have attempted to rein in Airbnb and its competitors with regulations. They have taxed them. They have limited them to certain neighborhoods or building types. They have banned them altogether. In December, after three years of debate, Los Angeles capped the number of days hosts could rent out their homes at 120. But do these rules work? One test of the effectiveness of cities’ regulatory efforts is their impact on Airbnb’s growth. 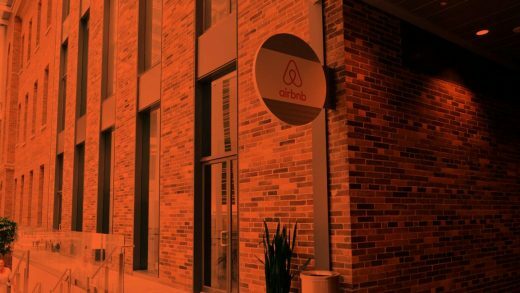 Two years ago, UBS, the Swiss investment bank, analyzed data from 127 cities and attributed slowing growth in listings at Airbnb to the emergence of local regulations. A November survey of travelers by Morgan Stanley lists their concerns about home sharing’s legality as one of several factors explaining the company’s plateauing growth. That said, Airbnb, which has a $30 billion valuation and is planning an initial public offering as early as this year, is still experiencing user growth in the double digits. The success of cities that have been able to regulate tech-enabled tourism owes to the powerful coalitions that have mobilized to challenge these data-driven platforms and to the fact that they are beginning to fight with their own digital weaponry. In a landmark 2016 case, a U.S. District Court upheld San Francisco’s ability to hold Airbnb liable when hosts operate illegal rentals. Airbnb can now face fines if it charges a booking fee for units that are not legally registered with the city. But there are still myriad ways for hosts to elude cities’ regulatory efforts, including setting up fake host names and shell companies, or registering on multiple platforms. The hardest violators to root out, according to some researchers, are hosts who run de facto hotels and take permanent housing off the market. “The biggest problem are the commercial short-term rentals” since “the risk might be worth it to stay operating,” says Shirley Nieuwland, a doctoral candidate at Erasmus University in the Netherlands who co-authored a study on cities’ attempts to regulate Airbnb. SF: Regulatory success story or cautionary tale? San Francisco has been held up as a regulatory success story, in part because it shed about half of its short-term rental listings after its rules were updated in 2017. More tellingly, what was once an adversarial relationship characterized by battles at the ballot box and legal sparring between the city and Airbnb is now a cooperative one. “I think we have a system in place that is very effective,” says Kevin Guy, director of San Francisco’s Office of Short-Term Rental. “We have a regular cadence of email communications back and forth” between the various platforms and the city. Airbnb spokesman Christopher Nulty says that regulations help bring stability to the platform. “We think that to be regulated is to be recognized,” says Nulty. Over the last five years, Airbnb has worked with “hundreds and hundreds of governments globally” to establish tax and regulatory partnerships, he adds. Dale Carson credits a legal settlement between San Francisco and Airbnb for the new spirit of cooperation—after Airbnb and its competitor HomeAway/VRBO challenged a 2016 law requiring hosts to register with the city. Even after the enforcement battles, Airbnb officials are sanguine about its prospects in its hometown. Revenue from bookings in the city have remained steady since the tougher enforcement regime was put in place. Meanwhile, the company has seen a 44 percent annual growth in guest arrivals in the five counties surrounding San Francisco. But what has watchdogs on alert is the sizable growth in listings of units that can rent for 30 days or more, according to the San Francisco Chronicle. Unlike other short-term rental hosts, the owners of such units are not required to be permanent residents. And a study by McGill University researchers raises questions about the law’s effectiveness, claiming it merely purged Airbnb of hosts who rarely rented their homes and had “relatively little impact” on those hosts renting out multiple units or a single home with great frequency. “This suggests that few if any Airbnb listings in San Francisco have been returned to the long-term rental market,” according to the report, which was published in January. Meanwhile, New York City remains a legal battleground for Airbnb. Typical New Yorkers saw their rents rise by $384 in a three-year period–and by more than $700 in some Manhattan neighborhoods, according to another McGill University study, published last year. While San Francisco allows its residents to rent their homes for months at a time when they leave town, New York City’s stricter law bans short-term rentals in most buildings unless the home sharer is present. That has not stopped short-term rentals in Airbnb’s largest domestic market from proliferating. Last month, the New York Times recounted an elaborate scheme undertaken by local real estate brokers who allegedly raked in more than $20 million from thousands of illegal rentals. There were more than 56,000 active daily Airbnb listings in New York City last year, according to the 2019 McGill University study, which also estimated that 68 percent of host revenue came from illegal reservations. Airbnb has fought back hard against the city’s tough regulatory regime. After New York passed a law that required platforms to provide regulators with hosts’ names and addresses, Airbnb sued, arguing the city had violated Fourth Amendment protections from unreasonable search and seizure. In January, a U.S. District Court judge in Manhattan placed an injunction on the law. The city has since subpoenaed Airbnb for data on 20,000 listings that regulators believe may be in violation of local laws. “Airbnb is constantly suing cities or threatening to sue them, and so there’s a lot of hesitancy from cities” to regulate them, said Murray Cox, a New York-based data activist who runs a website called Inside Airbnb.